AP Capstone: What is AP Seminar up to? Home News, Newsletter_MS&HS AP Capstone: What is AP Seminar up to? 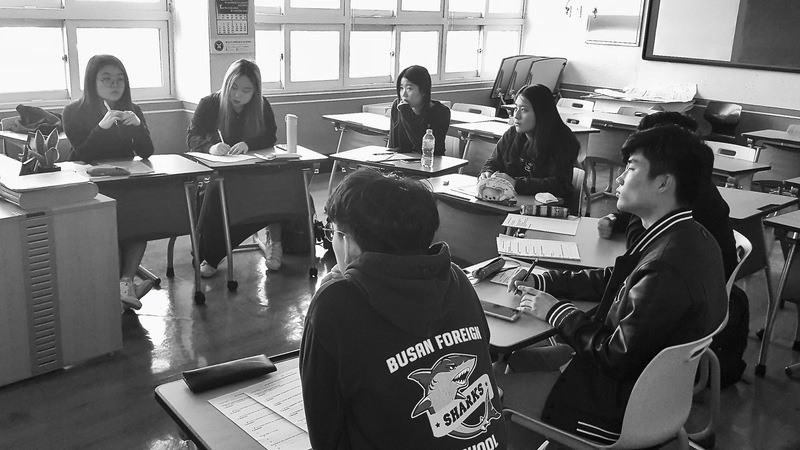 Students in AP Seminar just began work on Task 1–a team project that requires them to investigate and research an issue facing the world today. Students at BFS are looking into whether or not people should become vegan; the cause, effect, and solution to human rights violations that correlate with world-wide sporting events like the World Cup; and how the need for privacy intersects with national security. Throughout Task 1 students will be developing a research question, evaluating sources, considering multiple perspectives, writing a report, meeting with their group to create a presentation that synthesizes their findings, and presenting to their peers. AP Seminar seeks to help students gain research, writing, and critical thinking skills that will serve them in college and beyond.